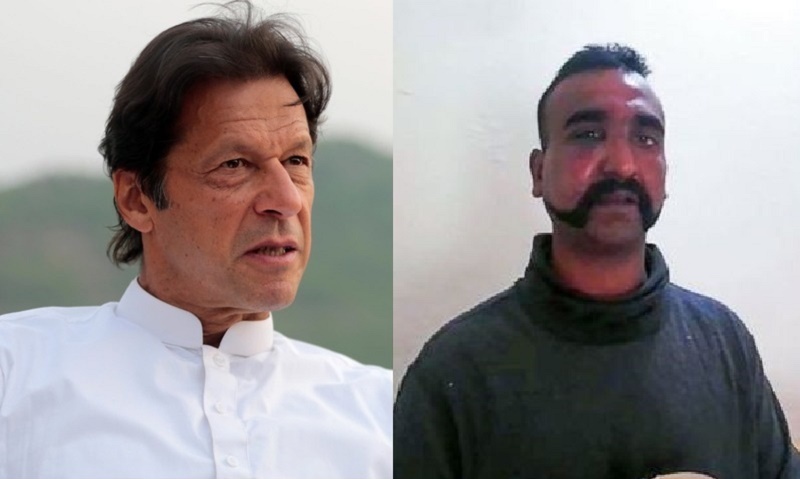 Indian Air Force pilot Abhinandan Varthaman, taken captive by Pakistan yesterday, will be released tomorrow as a "gesture of peace", Imran Khan has declared. The Pakistan Prime Minister was speaking at the country's parliament. "Yesterday I tried to call (Prime Minister) Narendra Modi to say that we don't want escalation. Our push for de-escalation doesn't mean we are afraid," Imran Khan said, reports NDTV. Wing Commander Abhinandan Varthaman was captured yesterday after an aerial combat between Indian and Pakistani fighter planes. The government summoned the Pakistani envoy and handed over a demarche demanding the "immediate and safe return" of the pilot. It also strongly objected to Pakistan's "vulgar display" of the pilot and said Pakistan "would be well advised to ensure that no harm comes to him".